Kalahari Books - Seven days to a killing. Home Kalahari Bookstore Adventure Seven days to a killing. 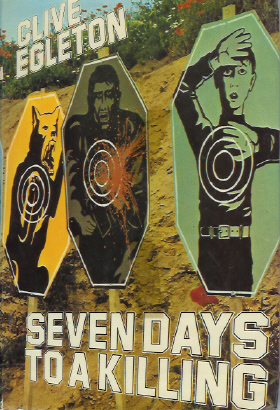 Adventure Seven days to a killing. Publisher : Hodder and Stoughton. Hard cover first edition. Library copy with tape markings on the front and back green covered boards. The interior of the book, is clean and ferm. The dust jacket, also has tape marks, and is lightycreased on the edges damage on corners ansd spine. Two small tears.